At a recent grandkid-birthday party, watching the little darlings consume a delicious dark chocolate cake prepared at the local whole foods store, I opined to my ex-husband and fellow grandparent that I was glad that the cake was more or less pure, that is, not made with high fructose corn syrup, because, I said, “High fructose corn syrup is the devil.” He laughed politely and then said, “Actually, sugar is sugar. Fructose is the same as sucrose or glucose.” Since he is brilliant, thin, and almost never consumes sugar, I shut up. However, a few days later, I chanced to listen to the Diane Rehm show on NPR. Her guest that day was Dr. Robert Lustig, whose new book is called Fat Chance: Beating the Odds Against Sugar, Processed Food, Obesity, and Disease. I was riveted by Dr. Lustig’s presentation. It wasn’t just what he said, though that was compelling. It was also the way he said it: with conviction, even, at times, a spark of righteous indignation. Among the statements he made, the repeated mantra was: all sugar is bad for you, all sugar is bad for you, all sugar is bad for you. BUT fructose, as it occurs in “food products” (as distinct from “real foods”) is much, much worse, because of the way the body metabolizes it. So my ex was, per Dr. Lustig, both right and wrong, and so was I. Fair enough. And remember, the bottom line regarding HFCS as distinct from the sugar that naturally occurs in an apple or a glass of milk is that HFCS is a genetically engineered substance. The sugar in an apple has not been genetically engineered, whereas the addition of HFCS to any food is a chemical modification of that food. I was beset with a low-pitched foreboding, not unlike the feeling I recall from childhood just before my older sister told me that Santa Claus was “just our parents.” What to do? Love the parents for bringing gifts, or hate them for telling a lie? What to do? Love sugar for being a food? No poisons, Dr. Lustig says, are sweet, so our long-ago ancestors knew they were “safe” when they ate something with a sweet taste. Sugar was trustworthy. You could eat it. It was food. Or hate sugar for being so destructive, causing obesity, diabetes, and a host of other ills that are sapping the vigor of American society? Love it for providing calories—after all, we have to have calories to stay alive, right? Or hate it for its empty promise—energy without lasting strength and health? * Fructose consumption has doubled in the past thirty years and increased six-fold in the last century. * Most of us, regardless of weight, release twice as much insulin today as we did thirty years ago for the same amount of glucose; this leads to a condition called hyperinsulinemia and that leads to insulin resistance. The body experiences hunger, leading to over-eating, especially to the consumption of foods loaded with sugar. This is the classic portrait of addiction. * The processed food industry has turned to increased sugars of all kinds to improve the flavor and shelf life of “food products”; we continue to eagerly purchase and consume these processed foods. About a quarter of all calories we consume on average, come from sugars; in adolescents this percentage can approach forty. * High fructose corn syrup, made from corn that has been chemically tweaked, came on the scene in 1975. Since its inception, that day before any of us had ever tasted it, its consumption has sky-rocketed. Americans consume almost 70 pounds of HFCS a year. Most people are probably unaware that they do this. A quick check of any grocer’s shelf will reveal that most “food products” contain some HFCS, sometimes as a primary ingredient. HFCS is sweeter than sugar by 20%, yet manufacturers of “food products” add more HFCS to their products than they used to add sugar. I knew this information was important; important enough to share. And there’s more, information I had gleaned at first hand. I lived for a year in the Dominican Republic, where sugar cane is king. It’s been that way since the island was first discovered and most of its native population destroyed by the Spaniards, who were so cruel that the natives, called Taínos, gladly joined hands and walked into the sea rather than serve them. So the Spanish overlords (and on the western, Haitian portion of the island, the French) imported Africans to do the work of harvesting sugar cane. 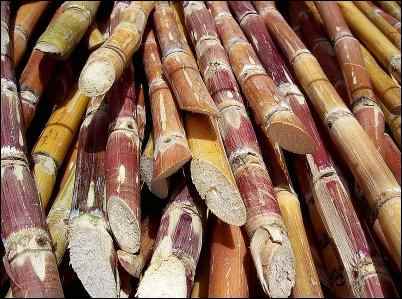 Sugar cane, for centuries the most potent supplier of sweetness to desperate Europeans, is a dangerous customer, designed by Mother Nature to keep its treasure secure. Sucrose clings to the inner stalk, and the outer stalk is covered with razor-sharp leaves. Harvesting by hand is still prevalent because of cheap, Third World labor that has replaced slavery and indenture as a means of exploiting the poor. 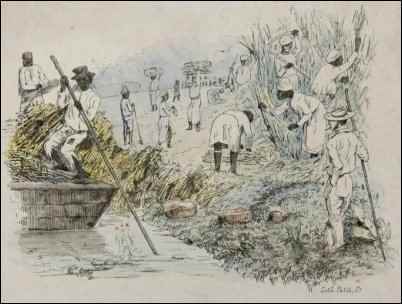 In Haiti and the Dominican Republic, hired laborers, mostly persons of African descent, generally referred to as “garçons” (boys), harvest by burning the cane fields and cutting the canes as low as possible to the ground with deadly machetes. I was told that accidents—loss of digits and limbs—were common in the cane fields and in the equally dangerous processing area where cane sugar is converted to granules. 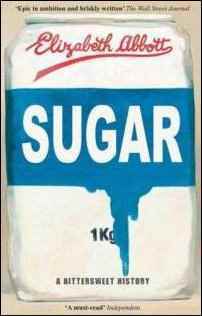 Sugar was known in the Far East before the Europeans found out about it, and carried West by Arab traders. Once known, it became the predominant source of sweetness for wealthy Europeans who measured it in milligrams, like a precious metal. 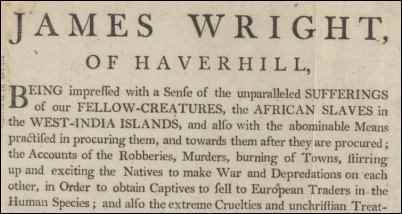 Once it was linked to the slave trade and the territorial greed that afflicted 18th and 19th century Europeans; there was no stopping it. The only hold-up was the processing—if possible, more grueling and time consuming than harvesting—and no European could be inveigled to do it. The climate required to grow the cane was warm and humid, which Europe is not. So importing slaves from warm climes to work for a few years and die in an unknown land was deemed damned good business. The common wisdom among the happy capitalists of the time was that it was cheaper to buy new slaves than to feed the old ones. The statistics on sugar consumption in England in the 1700s read not unlike the statistics for the consumption of HFCS in the U.S. in recent years. From having almost no sweet flavors, the Europeans who could afford it went sugar mad. Wikipedia states that, “Britain, for example, consumed five times as much sugar in 1770 as in 1710. By 1750 sugar surpassed grain as ‘the most valuable commodity in European trade—it made up a fifth of all European imports and in the last decades of the century four-fifths of the sugar came from the British and French colonies in the West Indies.’” No one thought of it as an addiction. Published in 2010, Elizabeth Abbott’s book, Sugar: A Bittersweet History, tells the sugar backstory, laying bare the despotic methods of the desperate European nobility to produce and procure sugar, at any human cost. We love statistics, it seems, and like to have them readily available; but it doesn’t take statistics to figure out that people who consume a lot of sugar are generally less healthy than those who don’t, with an exception being highly motivated athletes for whom sugar can provide needed energy—because such people already have the needed energy to burn the calories sugar produces. Dr. Lustig sees, and abhors, this pattern in the children he treats. Sugar death is a slow one. It takes a lifetime, a lifetime marred by the burdens of obesity, diabetes, heart disease, and, according to Dr. Lustig, something worse. Fructose, as in High Fructose Corn Syrup, as in sodas, as in soda crackers, ice cream, packaged puddings, meats, and so on, metabolizes as fat. Fat in your liver. It does this because large quantities of sugar (note “large quantities”—Dr. Lustig does not necessarily advise complete curtailment of sugar) drive up insulin secretion, and insulin wants to be used as fuel or as fat. 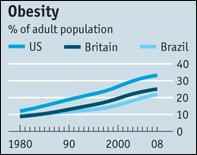 If you are already obese, you are unlikely to be able to do enough exercise to get rid of the insulin by burning it off. Instead, your body will store it as fat, especially fat in the liver. A fatty liver is a dying liver. Not irreversibly moribund, but moribund. And fat in the liver is not easily detectable. Some of Dr. Lustig’s claims are not accepted by his fellow scientists, and anyone interested in this subject should read his book (Fat Chance—it’s easy to remember), watch his YouTube presentation, and balance it with the views of other medical authorities. Nonetheless, thoughtful people, especially parents struggling to keep their children healthy enough to survive in these toxic times, welcome his advice, any advice, about the dangers of sugar consumption. Dr. Lustig admits it’s hard to do the kind of research that hard science requires on substances that have the approval of the FDA; moreover, a quick “Google” on the subject of HFCS reveals that corn growers are a powerful lobby, especially with the interests of government behind them. Don’t ever discount the significance of the Iowa caucuses when the subject of corn is bruited: politicians will do almost anything to entice Iowa’s corn farmers to their side. HFCS even has its own website: it’s called Sweet Surprise. What Dr. Lustig wants us to understand about sugar isn’t totally new. In fact, scientific, medical, and casual observers (parents) have been concerned about the deleterious effects of sugar for some time, certainly for the second half of the twentieth century. During and after World War II, in response to the deprivations of rationing, the American public was being advised by the sugar industry that no other substance could offer them as many calories (energy) for so little actual food intake. Fascinating, as Mister Spock might say. According to the Global Healing Center website, “In 1957, Dr. William Coda Martin tried to answer the question: When is a food a food and when is it a poison? His working definition of ‘poison’ was: ‘Medically: Any substance applied to the body, ingested or developed within the body, which causes or may cause disease.” Dr. Martin classified refined sugar [the buzzword of the day as HFCS is today] as a “poison” because it has been depleted of its life forces, vitamins and minerals.” This website reminds us that so-called primitive people who consume no processed or altered foods, have strong, healthy, gleaming teeth, while we, with all our gathered scientific wisdom, struggle to keep ours clean and white. 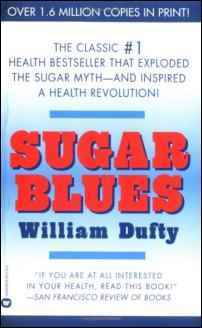 In 1986 William Dufty wrote the best-selling Sugar Blues and like Dr. Lustig, was criticized for going too far, for implying that sugar is a drug and its consumption, an addiction. Dr. Lustig, then, is the latest in a long line of crusaders. He works with children, and he’s sick of seeing them being sick, sick of seeing obese babies and almost non-functionally overweight kids. When he says that sugar is a “poison” he may be pushing the envelope, too far for good science. But when he says that over-consumption of sugar, whether in cola drinks or breakfast cereals or bread or fruit juice cocktails, is bad for us, and especially for our young ones, he’s thinking of a generation of children (with a 40% obesity rate) whose adulthood may be burdened and their lives shortened by metabolic malfunction. I’m thinking about them, and I believe you are, too. Let’s keep the sugar debate alive. And whether you want to call it sugar, sucrose, fructose, refined sugar, or high fructose corn syrup, let’s keep it out of our cupboards and off our tables. You never know when the grandkids might come for a visit.